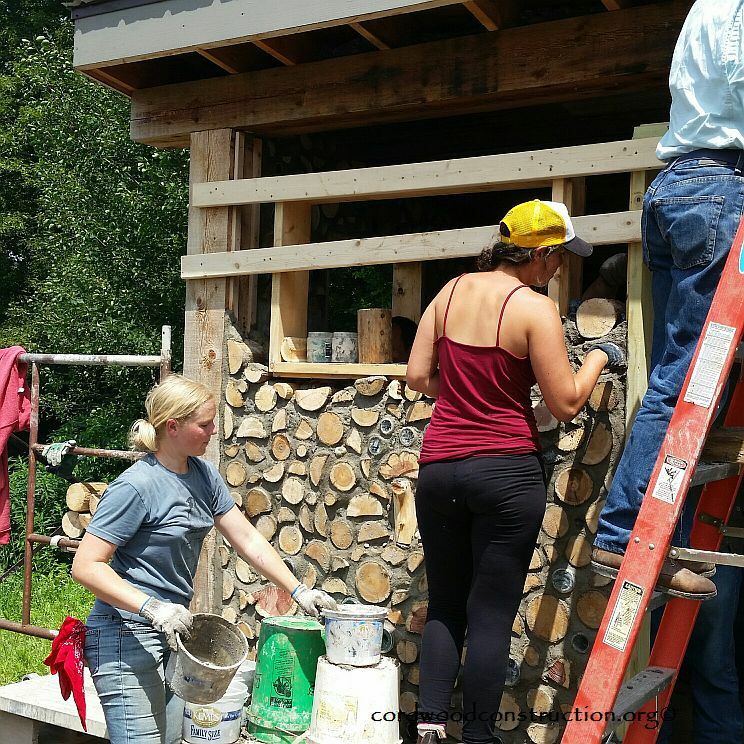 Hard workers are determined to finish the sauna…and they did! 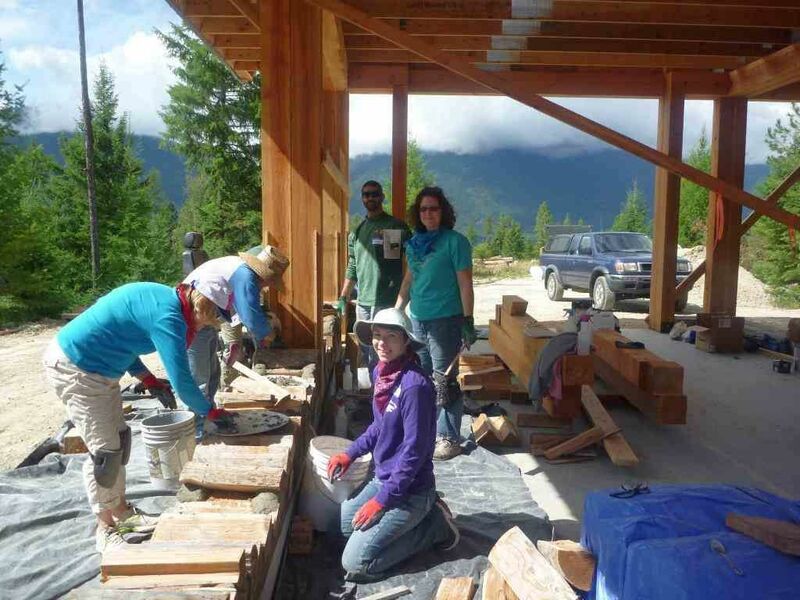 The mountains give off their misty glow near Bonners Ferry, Idaho. . 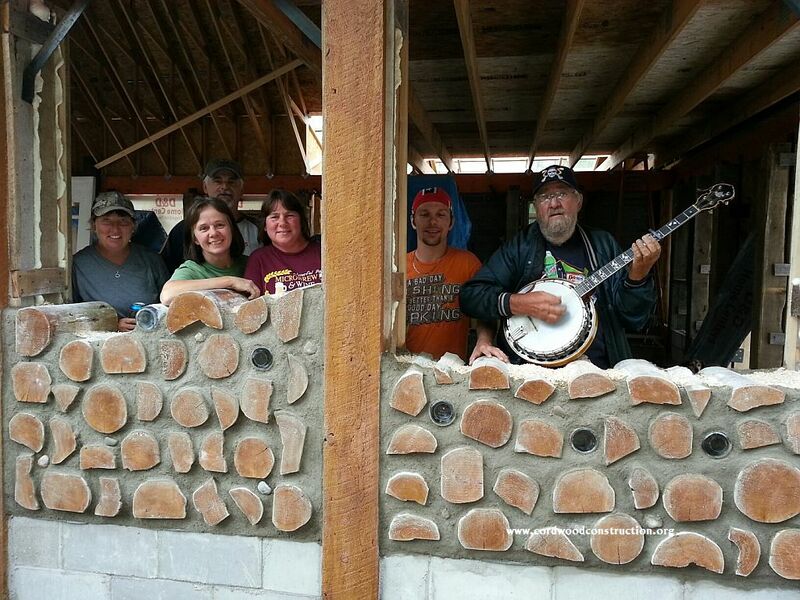 Banjo Bob sings Country Roads as we teach a private workshop in the Upper Peninsula of Michigan. 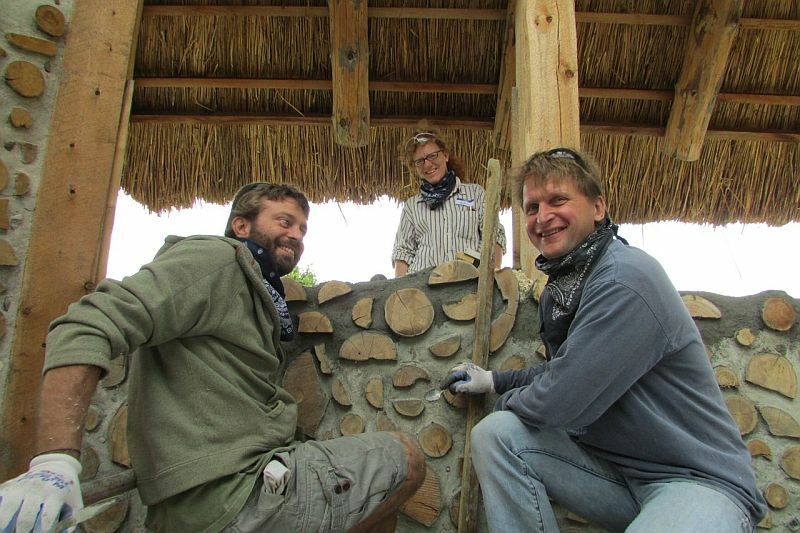 Singing and stomping Cob for the Entrance Center. 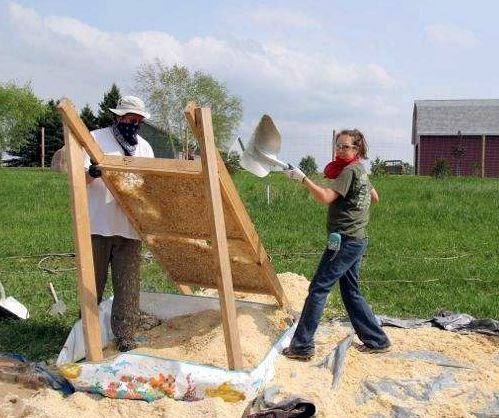 A doula and a university professor have fun building a wall. 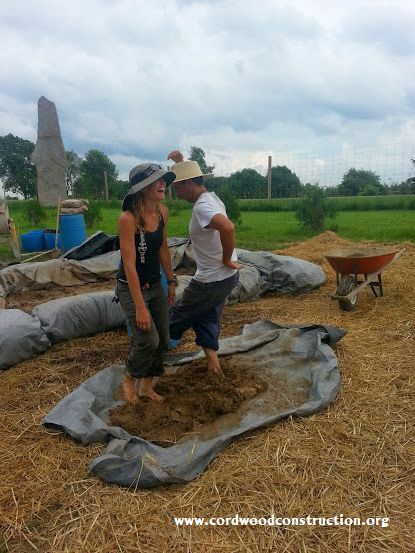 They are married. 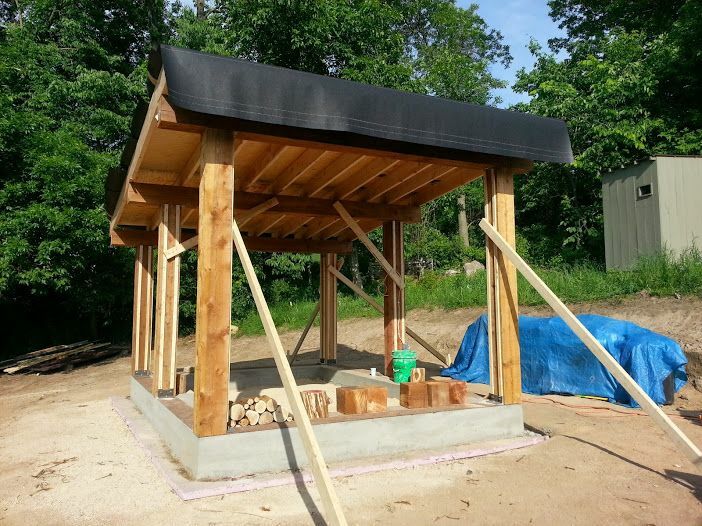 The sauna post and beam framework with grade beam and keyways at Kinstone. 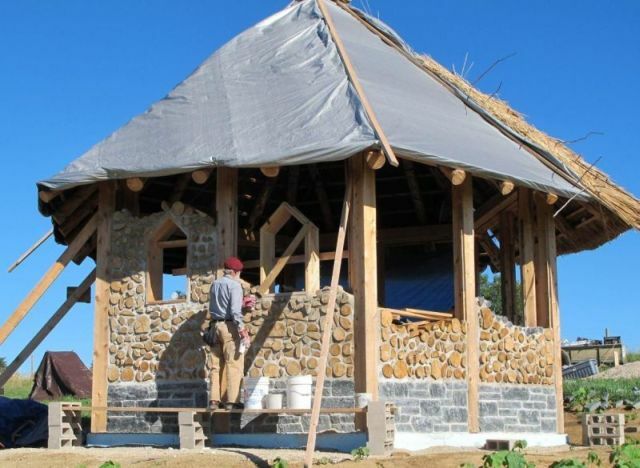 Cordwood workshop at Love’s Organic Farm near Mars Hill, North Carolina. 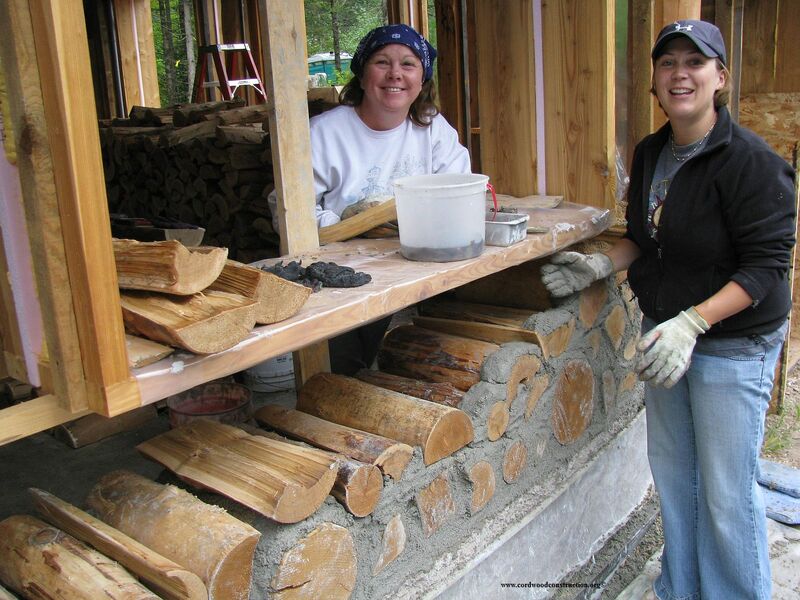 Planning their work, working their plan with smiles. 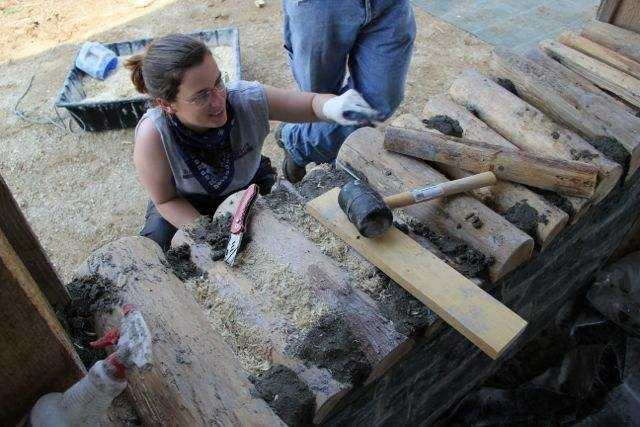 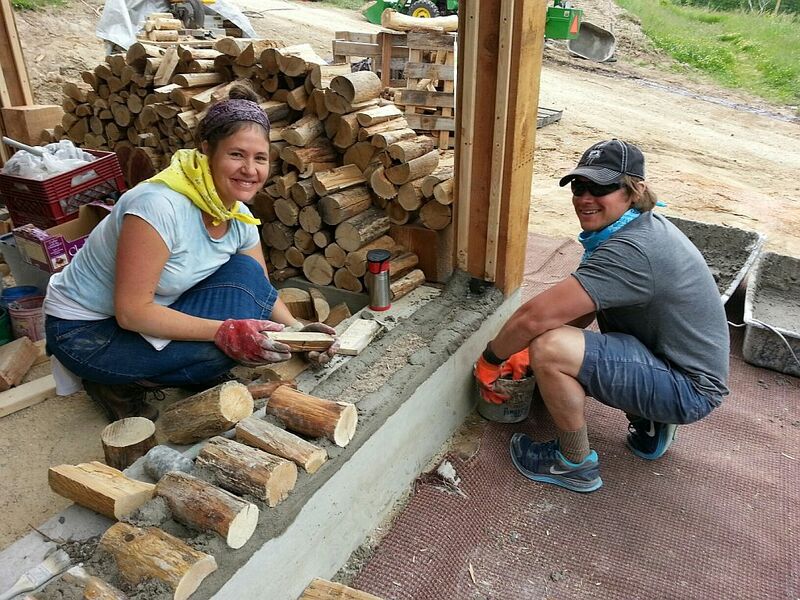 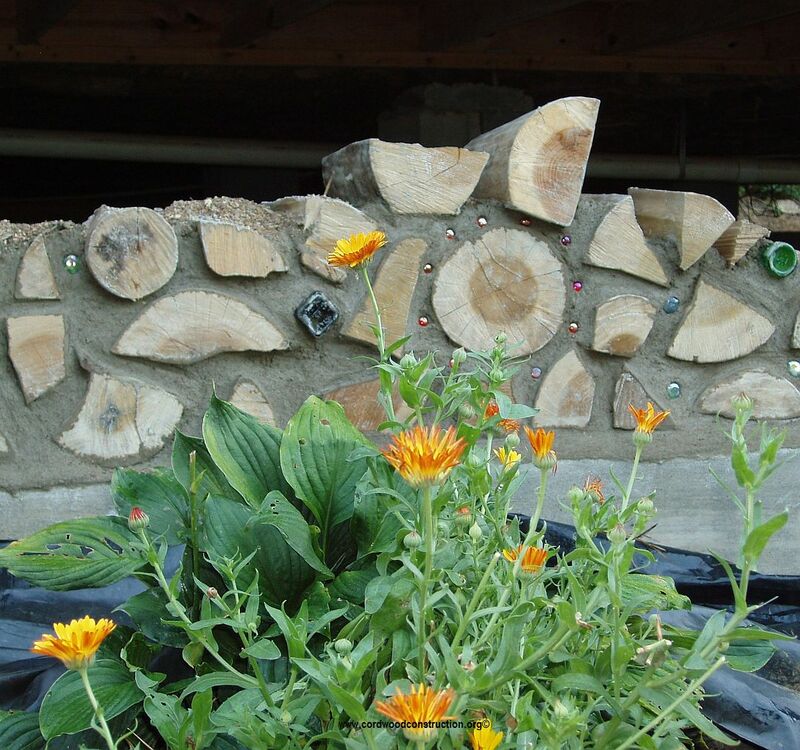 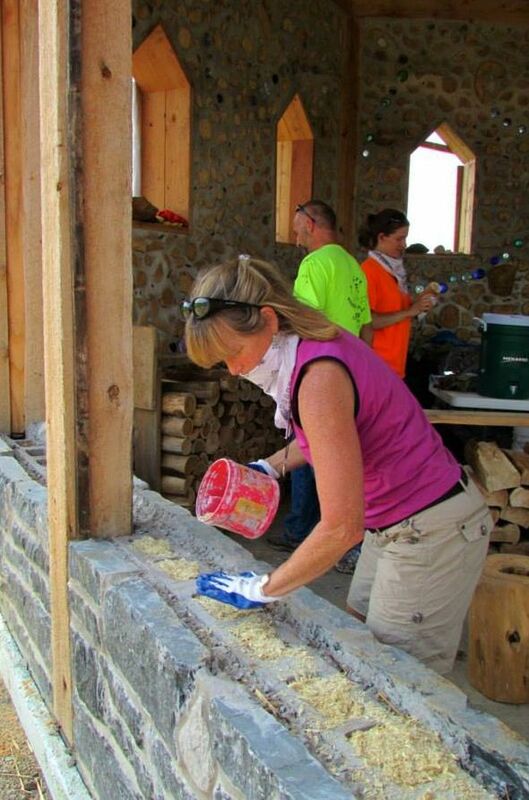 Two teachers build a wall at the Cordwood Education Center in Merrill, Wisconsin. 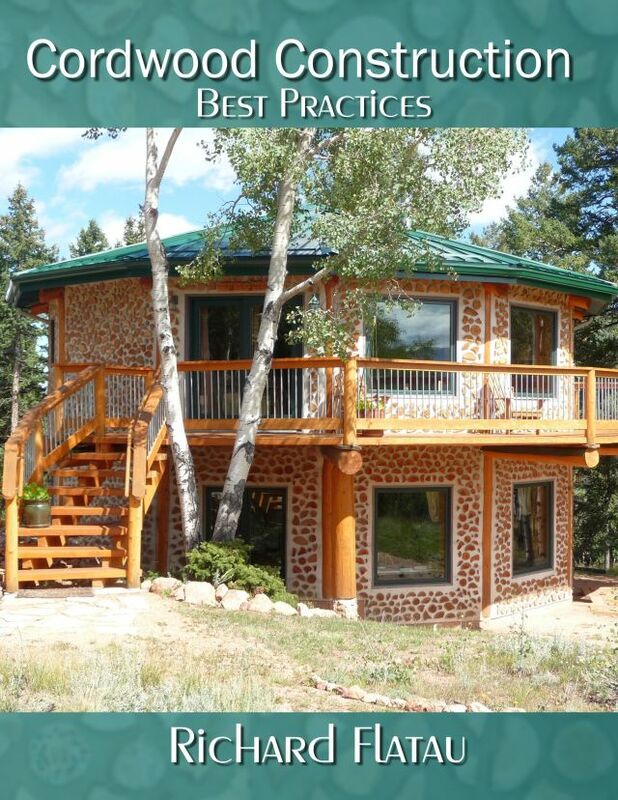 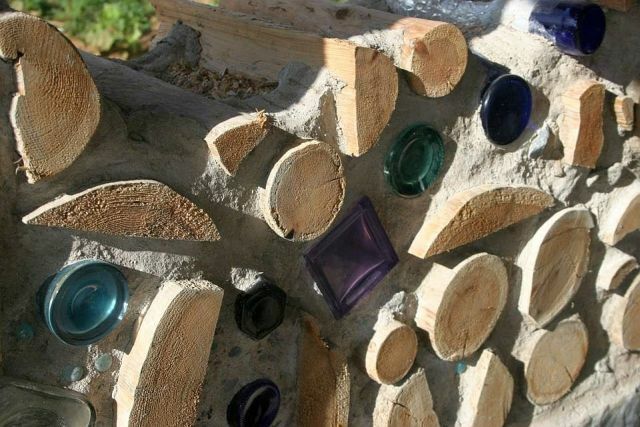 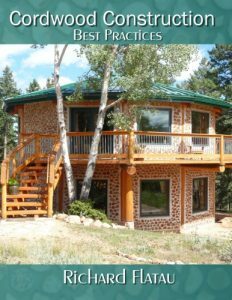 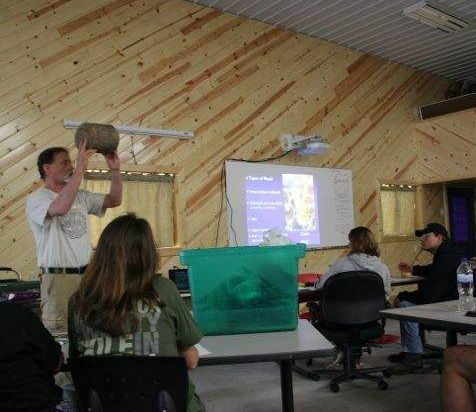 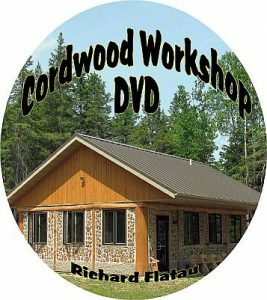 Classroom time is devoted to “Best Practices” lessons with cordwood that have been hard won during 37 years of cordwood living, building and sharing. 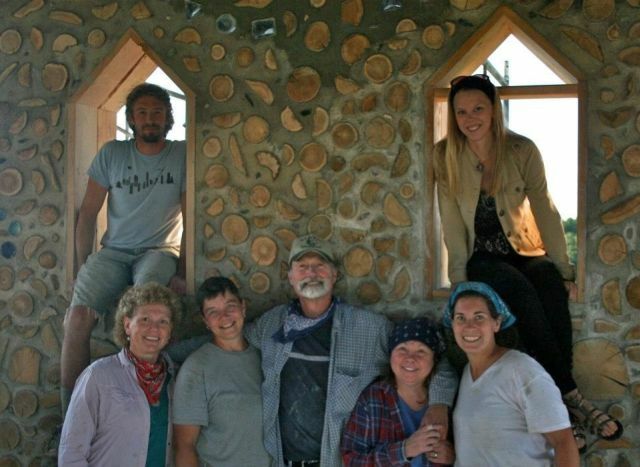 The Kinstone Chapel mortaring crew poses for an end-of-the day photo. 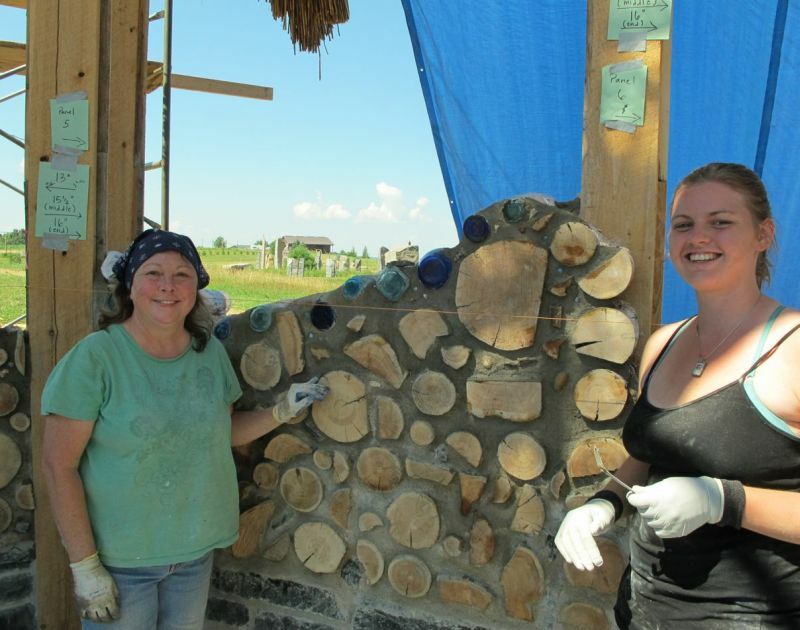 Becky and Kirsten are proud of their river motif wall. 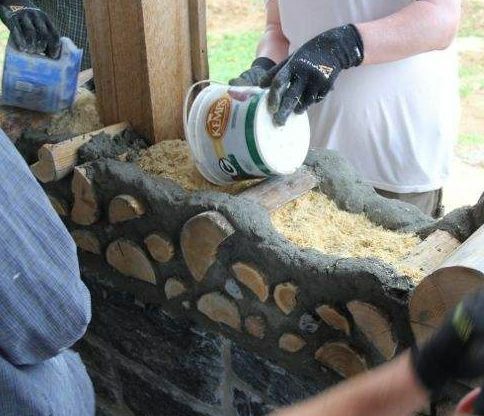 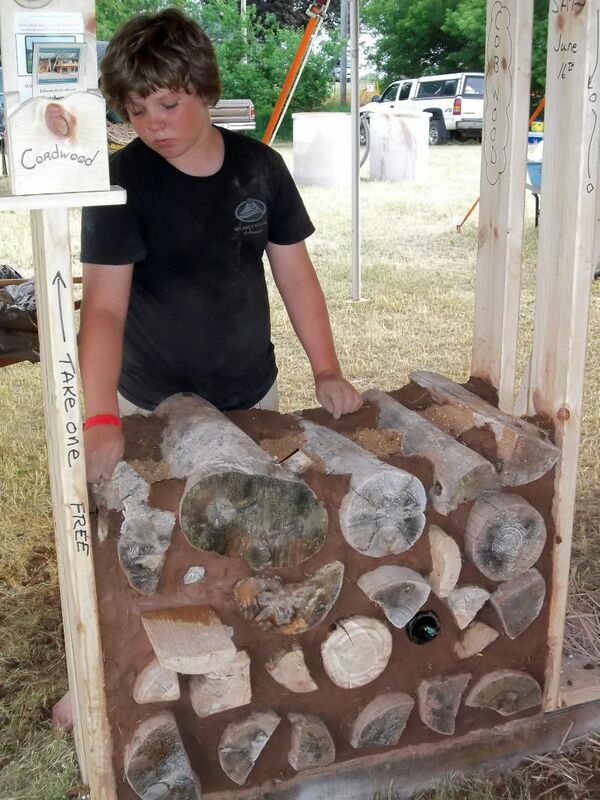 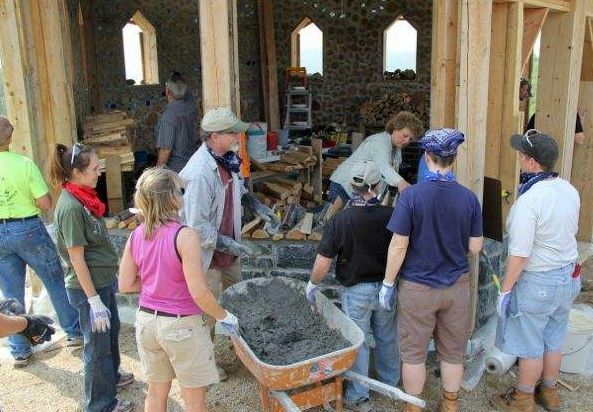 Using “Cob Mortar” at a demo at the Midwest Renewable Energy Fair in Custer, Wisconsin.